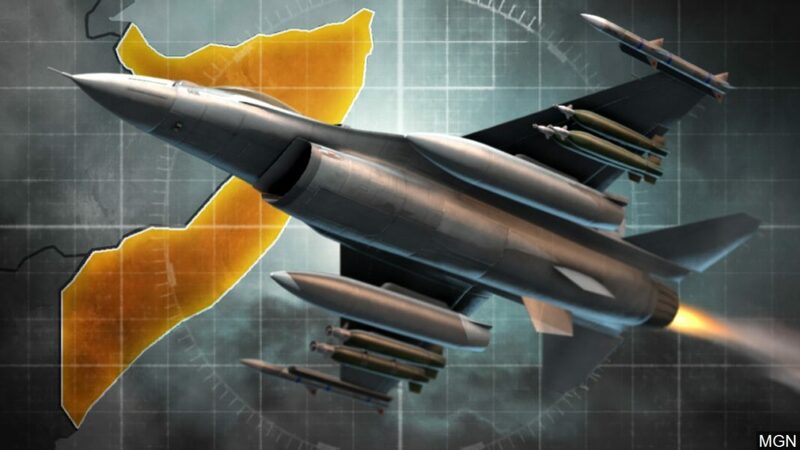 The United States military’s Africa Command says that it has carried out six airstrikes in the Gandarshe area of Somalia which killed a total of 62 extremists from the al-Shabab rebel group. In a statement issued Monday, the U.S. military said it carried out four strikes on Dec. 15 in which 34 people were killed and two more on Dec. 16 which killed 28. It said all strikes were in the Gandarshe coast area south of the capital. It said that no civilians were injured or killed. The U.S. military statement said all six strikes were carried out in close coordination with Somalia’s government. It said the airstrikes were conducted to prevent al-Shabab from using remote areas as a safe haven to plot, direct, inspire, and recruit for future attacks.